He received his Master of Divinity in 1985 from Far East Advanced School of Theology (now known as Asia Pacific Theological Seminary), a Bible Seminary under the Assemblies of God. God has used him to plant 16 churches and 3 orphanages in Asia and USA . His first church in Singapore grew from 23 people to 1,700 within six years. For seven years, he ministered in Cambodia where he planted a church and 3 orphanages. 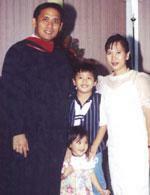 He then co-founded a new church in Pittsburgh , PA before returning to Singapore . Today, his ministry is based in Malaysia and affiliated with High Praise Ministries . He serves as a Church Growth Consultant to various churches and also conducts Church Growth Seminars. His ordination is from Victory New Testament International, which is based in Texas , USA. 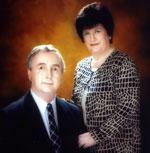 Over 19 years pastoral experience with Assemblies of God both in England and in the United States. Five years of missionary service in West Malaysia from 1978 to 1983. Nine years teaching in the Assemblies of God Bible College in England . Subjects taught were: Missions, Romans, Luke, Acts, Hebrews, Prayer and Spiritual Warfare, Homiletics, Hermeneutics, Evangelism, Eschatology, World Religions and the Cults. They have also been involved in itinerant teaching ministry, visiting the following countries: Belgium , Germany , Singapore , Indonesia , Philippines , Hong Kong , Taiwan , India , Mexico , Belize , Colombia , Cambodia , Myanmar , Venezuela and China . In 1998 they set up a Church Planting Institute in Cambodia . Their emphasis has been on training leaders and potential leaders with teaching emphasis being on church planting, pastoral care and pastoral counselling. 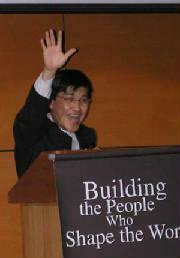 Rev Edward Chui joined High Praise as our pastor in charge of the Chinese ministry in 2004. He has been instrumental in encouraging our Chinese-speaking congregation to reach out to the Chinese community. He uses his vast knowledge of Chinese tea ceremony as a bridge to share the Gospel. Rev Chui is also a gifted singer and worship song writer. Pastor Jo is formerly our Assistant Pastor and today she is our missionary to Nepal. After having served in our main church for three years, she returned to serve the Nepalese people. She is well-acquainted with the Nepalese culture and speaks Napalese perfectly. Pastor Reggie is our branch pastor in the Philippines. Please read more about him and his ministry on the Branch Church's page. He is the pastor of High Praise in Imus, Cavite, Luzon, Philippines.